Several people have reported Iridium Flares not showing up as predicted in the last few weeks. It seems that many of the first generation of satellites are now being de-orbited to make way for the next generation which are becoming operational. We just went through the list of satellites which we have tagged as flare producers and removed over 20 which have already left their operational orbit. The satellites are still there, but because the attitude is presumably no longer being tightly controlled, they may not produce reliable flares. We will endeavour to keep the database up-to-date over the coming weeks using the information on Ron Sladen's status list. Several of the first generation satellites are presumed to be kept in orbit as spares for the new generation, and it could be that the attitude is not tightly controlled when they are in the spare status, meaning there could be further disappointments with flares predicted for these satellites. Unfortunately, the new satellites are not expected to produce flares, so it looks like they could soon become a thing of the past. Most Iridium satellites are still controlled, so their flares can be predicted. The Iridium communication satellites have a peculiar shape with three polished door-sized antennas, 120° apart and at 40° angles with the main bus. The forward antenna faces the direction the satellite is travelling. Occasionally, an antenna reflects sunlight directly down at Earth, creating a predictable and quickly moving illuminated spot on the surface below of about 10 km (6.2 mi) diameter. To an observer this looks like a bright flash, or flare in the sky, with a duration of a few seconds. Iridium satellites have been one of the biggest triggers of UFO reports. To the neophyte sky-watcher, they are unique, eye-catching, and mysterious. Now, they are almost gone. And hello, Iridium NEXT. The final launch of 10 Iridium NEXT satellites is targeted for January 8, 2019, at 7:48 a.m. PST. Meanwhile, the beloved glints of Iridium flares are disappearing from Earth’s night skies. People often ask us about flashes in the night sky, and – over the past 20 years – many of those flashes turned out to be flares from communications satellites put into orbit by the Iridium SSC company. Beginning in 1997, the company launched into orbit around Earth some 66 telecommunications satellites, which were know to flare briefly in the night sky as their solar panels caught the sun’s rays. You’ll see some of the brief glints of Iridium flares in photos captured by the EarthSky community, on the bottom of this page. However, as we go forward – although there are still a few of the original 66 satellites up there – Iridium flares are destined to become a thing of the past. The original 66 satellites have been phased out, and a second generation of satellites – called Iridium NEXT – is nearly entirely in place. The Iridium NEXT satellites are no doubt superior in many ways, but, sadly for amateur astronomers, they don’t produce the beloved flares. At this writing – January 7, 2019 – Iridium Communications has now successfully launched 65 Iridium NEXT satellites into orbit with SpaceX from Vandenberg Air Force Base in California. The final Iridium NEXT launch is targeted for January 8, 2019, at 7:48 a.m. PST. Once complete, there will be a total of 75 new satellites deployed – 66 in the operational constellation and nine in-orbit spares. A few of the original, sometimes-glinting Iridium satellites are still in low Earth orbit. They have three reflective panels that occasionally catch the sun and produce a visible flare lasting between five and 20 seconds. The flares can be bright! They’ve been reported to be as bright as magnitude -8, which is brighter than Venus. Over the years, they became the target of many astrophotographers and astronomers. Some “collected” the flares, like birds or butterflies, and you can still find tracking information for the few remaining flaring satellites on websites such as HeavensAbove.com. You can still see flashes in the night sky. Other objects that produce flashes in the sky include, for example, tumbling rocket bodies. After launching a satellite, some rocket bodies may continue to orbit Earth for weeks, months or even years. As they are tumbling, they may be visible as a dim moving “star” that might produce bright flashes as the object reflects more sunlight. Plus, some of the original 66 Iridium satellites are still up there (although, one by one, they’re being allowed to re-enter Earth’s atmosphere). Iridium Communications has set up a web page and hashtag called #flarewell to mark the end of Iridium flares. 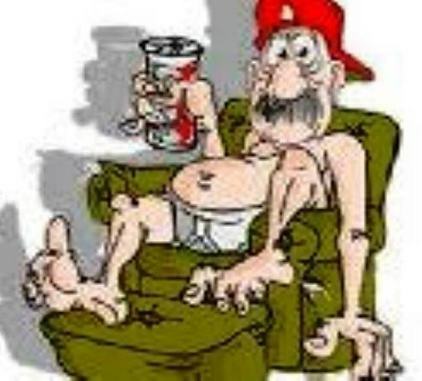 Another place to follow them is @catchtheiridium on Twitter. 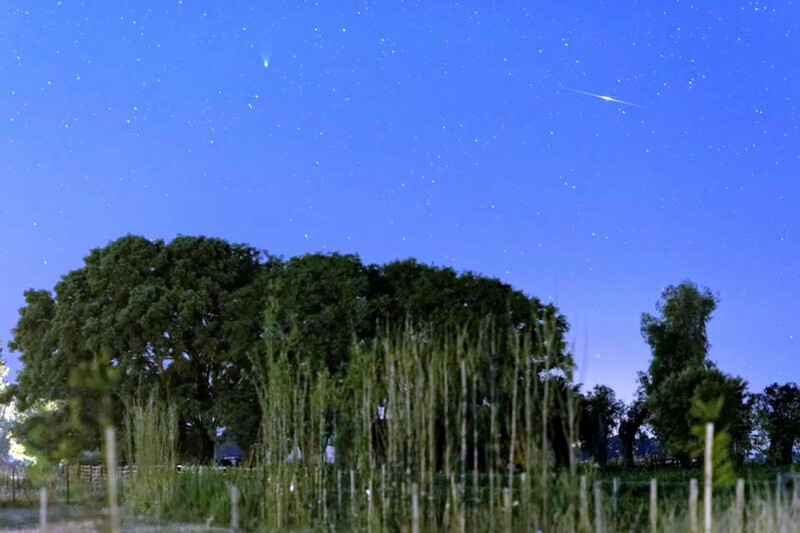 Over the years, the EarthSky community has caught many beautiful Iridium flares. Our thanks to all of you who contributed photos, a couple of which are shown below. On February 12, 2013, Luis Argerich in Buenos Aires caught Comet PANSTARRS, the fan-shaped object on the left, in the same photo as an iridium flare on the right. Awesome capture, Luis. Thank you! 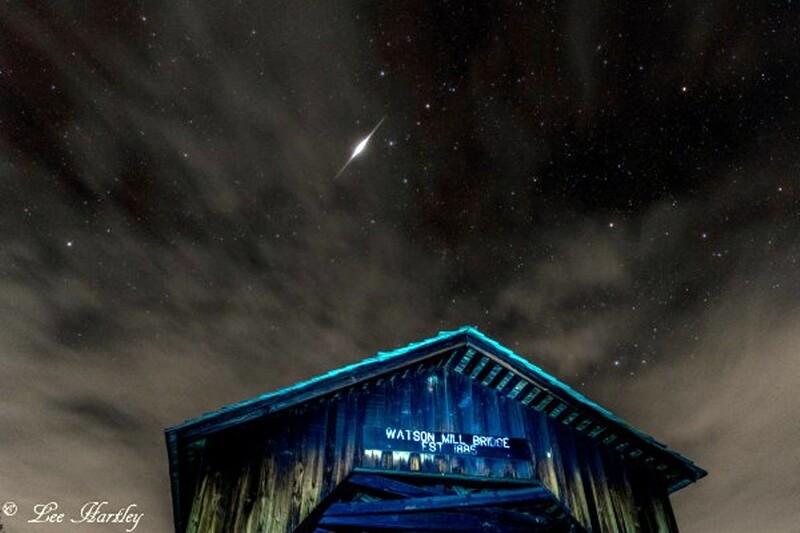 Iridium flare caught by brothers Lee and Joe Hartley on November 8, 2014, over Watson Mill State Park, Georgia. Thanks, Lee and Joe! Bottom line: The beloved glints of Iridium flares are nearly gone from Earth’s night skies, as the original set of 66 Iridium communications satellites have been decommissioned and are being allowed to re-enter Earth’s atmosphere. The final launch of 10 Iridium NEXT satellites is targeted for January 8, 2019. The Iridium NEXT satellites do not flare. ...and one by one the old generation of Iridiums goes out of service and out of orbit. Soon, no more flares. MCLEAN, Va. – January 11, 2019 – Aireon announced today a successful eighth and final launch and deployment of the Iridium NEXT satellite constellation hosting the Aireon space-based Automatic Dependent Surveillance-Broadcast (ADS-B) payloads. At 7:31 AM PST (15:31 UTC) a SpaceX Falcon 9 rocket lifted off from Vandenberg Air Force Base in California and placed the final 10 Iridium NEXT satellites into low earth orbit (LEO). This launch brought the total number of Aireon payloads in orbit to 75 (66 operational payloads and 9 spares), completing the historic launch program and passing one of the last remaining milestones before Aireon ushers in a new era of global air traffic surveillance and aircraft tracking. Aireon is the world’s first 100 percent global air traffic surveillance system and is revolutionizing the way the world travels with space-based technology. Unlike existing aircraft surveillance and tracking infrastructure, the Aireon system uses space-based ADS-B technology, which enables the automatic and real-time collection of aircraft position data. The Aireon technology gives air traffic controllers and airlines a complete and comprehensive view of the entire sky, like never before. With this upgraded insight into the world’s flight paths, including those in remote and oceanic airspace, the entire industry will experience significant direct and indirect benefits such as, increased safety, more efficient flight routes, more accurate arrival and departure predictions, faster emergency response times, reduced aircraft separation, a decrease in CO2 emissions and more. Blakey now serves on the Aireon U.S. Advisory Board alongside its Chairman, The Hoannable Norman Mineta and Vice-Chairman, Russ Chew. A total of 81 Iridium NEXT satellites have been built, all of which have the Aireon payload onboard. There are now 75 satellites deployed, with nine serving as on-orbit spares and the remaining six as ground spares. Today’s launch marks the completion of the Iridium NEXT launch campaign, successfully deploying the full Aireon system.